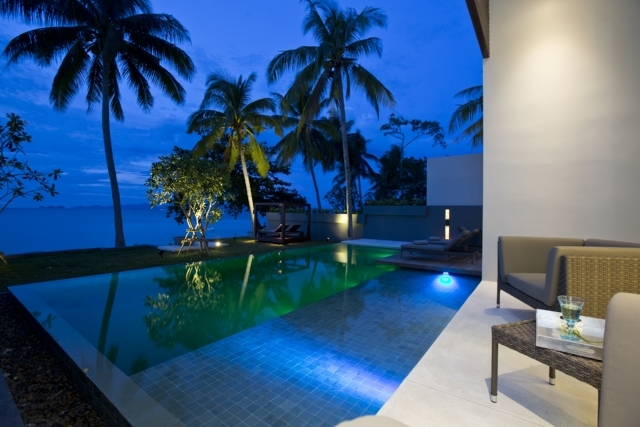 Mandalay Beach Villas is a collection of beachfront pool villas in contemporary modern design. The secure and gated luxury estate offers the ultimate in island accommodation, matching exclusivity with privacy. 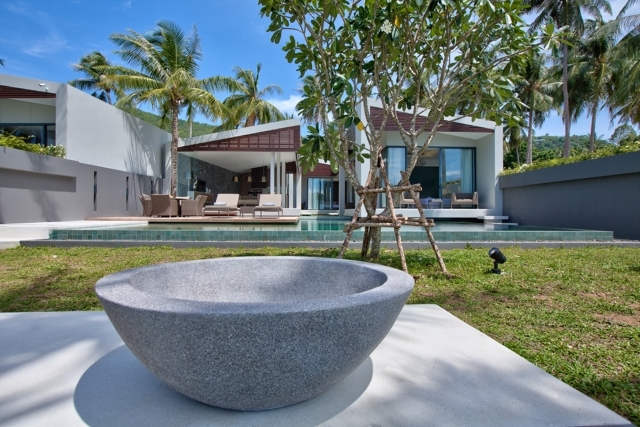 Facing the white sandy expanse of Laem Noi Beach and backed by lush palm stands, each of the seven exclusive villas has its own private courtyard, giving approximately 350-500 square meters of living space, with 17m beach frontage each, on land plots ranging from 800 to 1600 square meters. "Attuned to Thailand’s dynamic architectural culture, Mandalay Beach Villas harmonize with the rich heritage of its surrounds." This progressive project reflects the very latest European thinking on contemporary modern living, tailored for the Koh Samui experience. 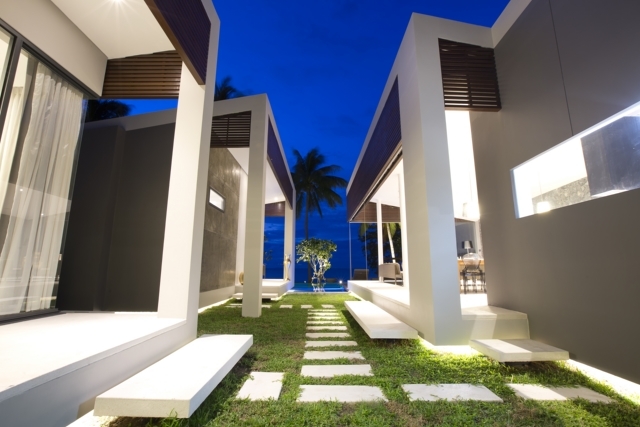 Well known as award-winning developers of unique contemporary homes, Mandalay Samui envision a confident form that encompasses bold geometry and an inspired use of light and shade. Mandalay Beach Villas provide an impressive, cutting edge visual experience. The architects have introduced a distinctive and cohesive design aesthetic across the seven three bedroom luxury villas. Mandalay Beach Villas are an impressive balance between form and function, inside and out, modern and tropical. The rectangular forms and vertical fins that articulate the building’s façade offer residents privacy and frame views over the white sand beach. Beyond the façade lies a lush tropical garden that provides natural light and a private place to relax. Sunlight streams into the Mandalay Beach Villas through full height windows and reflects off the high ceilings to give a sense of openness and space. The architects have ensured each villa is oriented to its best vantage point. The heart of each villa is the spacious open plan living area where the kitchen, dining room and lounge form one integrated space for entertaining or relaxing. Bright and awash with light, this space offers residents the ultimate in flexibility and style. 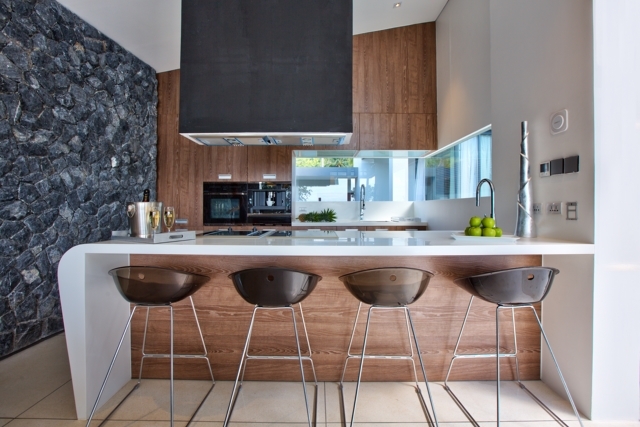 The sleek contemporary kitchen segues effortlessly across an island bench into the living space. A clean slate for residents to arrange, personalize and express themselves. Perfect for relaxing and winding down or getting together with friends, the space expands with ease by opening the sliding doors to the garden and outside world. When it comes to the bedrooms and accompanying en-suites, it is the richness in the detail that makes them so attractive and appealing. Generously proportioned yet warm, they reflect a desire for private retreats with a feeling of tranquillity. Spaces where residents can ease into the day on holidays and return to their busy lives rested, relaxed and rejuvenated. Mindful of the latest market trends, Mandalay Beach Villa’s three-bedroom villas offer en-suite dual bathrooms, making them supremely private and convenient for residents, and ultimately more desirable for investors.